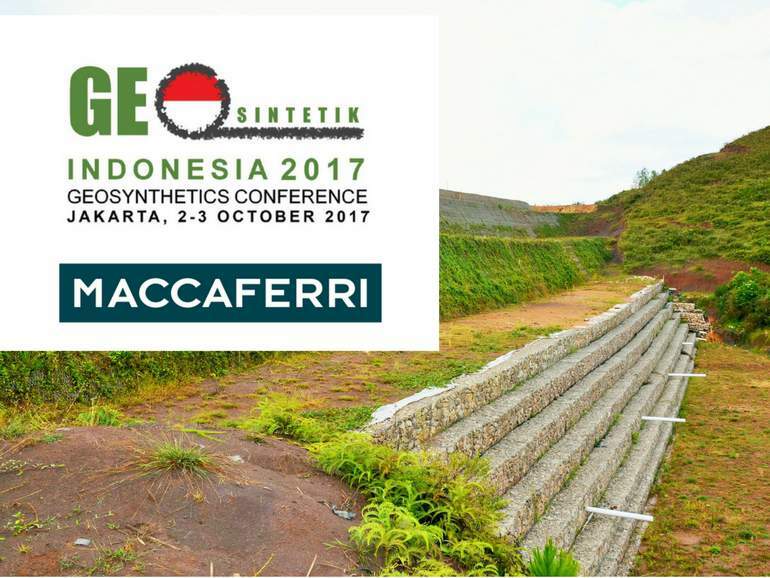 Geosintetik Indonesia 2017 is considered the most important and renowned geosynthetics event in Indonesia. This year’s conference will focus on the theme of “Quality in Construction using Geosynthetics”. The event will take place in Central Jakarta on October 2nd and 3rd and will be associated with the “Educate the Educators” program. “Educate the Educators” is an educational program on geosynthetics and their applications. The program is suitable for academics and practitioners who want to learn more about geosynthetics and will take place on the October 2nd. The following day, the Conference will provide support to owners in the public and private sectors, engineering firms, and construction companies, so that effective, safe and durable geosynthetic solutions can be delivered in their infrastructure projects. Quality is the keyword at this year’s conference – organized by the Indonesian Chapter of the International Geosynthetics Society (Ina-IGS). The application of geosynthetics in construction offers a series of benefits but these new technologies and techniques need to be fully understood and appropriately used. In this respect, we will actively participate in the event and our Technical Manager Matteo Lelli will present the paper “The Important Role of Execution and Construction Quality Assurance (CQA)/Construction Quality Control (CQC) Plans in Building with Geosynthetics”. The paper will offer good construction procedures and guidance when building a reinforced soil structure with geosynthetics. Our staff will also be available at our exhibition booth to answer all your technical questions. We invite you to attend the event and look forward to seeing you in Central Jakarta.